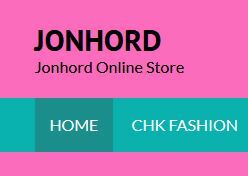 Jonhord’s Sell or Buy Stuff (Jsobs) needs a professional Web Designer with experience in WordPress content management systems to help with the graphic and user interface design of our website. We’re looking for a candidate who has created and maintained functional attractive website for companies. We want to talk to you if your portfolio includes clean, modern, responsive websites with excellent navigational structures and detailed linking. The desired candidate should be able to work on a part-time basis with a potential of becoming full-time. This will be a remote/telecommute position. • Plans site design by clarifying goals; designing functionality. • Develops site navigation by categorizing content; funneling traffic through content. • Develops site content and graphics; designing images, icons, banners, audio enhancements, etc. • Prepares site by installing and configuring server software; installing programming language using authoring and formatting tools; ensuring cross-platform compatibility; establishing links. • Establishes locatability by registering with search engines. • Implement and maintain high-quality SEO policies and incorporate them with content produced for the website. • Upgrades site by updating content and graphics; monitoring performance and results; identifying and evaluating improvement options; introducing new technology; maintaining links. • Protects site by designing and installing security precautions. • Maintains site appearance by developing and enforcing content and display standards; editing submissions. • Create mock-ups for proposed project pages and update them as needed. • Bachelor’s in Computer Science, Graphic Design or related field, or additional 3+ years’ experience if you do not met this requirement. • Proficiency with ASP.net web forms or related web application.